It would be a little prettier if I could say “How to Get 1000 Subscribers in 30 Days.” But, the true version is that it took me 35 days, so let’s go ahead and be honest. 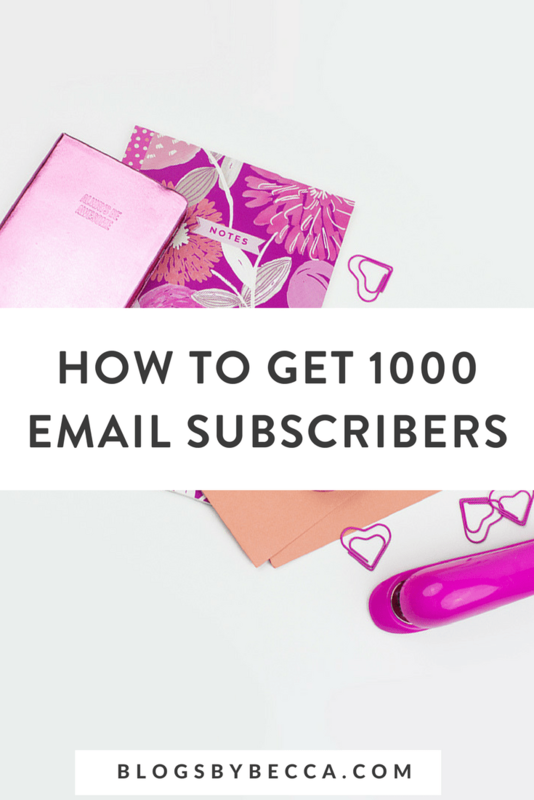 “How to get subscribers” and grow your email list is a huge topic. I got 1000 new subscribers in 35 days. You can totally do it too. I have no super secret magic. I’ll tell you exactly what went down. So here we go. Check out The Ultimate List-Building Checklist, too! Get it! *This post contains affiliate links, which means that if you click a link and make a purchase, I may receive a small commission at no extra cost to you. I apprecite your support. How to grow your email list? Well, I got a ton of people through giveaways. So, yeah. If I have a “secret,” it’s giveaways. And that’s obviously not a secret. People like free stuff. And they will give you their email to get it. BUT, here’s the thing. I was NOT aiming to get that many people on this giveaway, and I actually kind of wish that I hadn’t. I was aiming for a more focused giveaway where only people who were really, really interested in Blogs by Becca would enter. So…I kind of failed? I vastly underestimated the number of people who want a microphone. I never wanted a microphone until I started doing webinars, but apparently other people do. So, while this was a “win,” it’s also kind of a fail. But also a win. How to grow your email list? I’m launching a brand new signature course for beginner bloggers early next year, it’s called Break Into Blogging, and I’m super, super excited about it. I could go on about it for about an hour (and you should totally check it out! ), but long story short, I’ve had a ton of people enroll on the waitlist and scoop up the VIP earlybird price I’m offering. So, that nets subscribers. How to grow your email list? 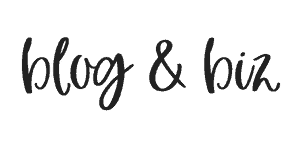 Blog Boom Bootcamp just launched the other day (and has been awesome so far! ), but the 10 Tools//10 Tips//10 Days course has been going on for a while and it’s been my most popular course ever. People love their blogging tools. Email courses are great because there’s zero cost to you, aside from the time it takes to write the emails, but they provide legit value to your readers (assuming you have a good email course, I guess). Brownie points because ConvertKit makes it soo easy to do an email course. Aside from the time it took to write the thing, which of course can’t be avoided, it’s taken me a total of about 5 minutes to “run” the course. I do nothing other than check in on my numbers and watch them grow. (Note, I am a ConvertKit affiliate, so that's an affiliate link. I get a small commission if you sign up. Zero cost to you, of course). How to grow your email list? I offer a content upgrade in almost every blog post. Occasionally I won’t, if it just doesn’t make sense to do so. But most of the time, yes. And these get subscribers. Provide real value in your content upgrades, and people will subscribe. I also store all mine in my Resource Library, and people like that as well. Content upgrades are really a surefire way to get subscribers, and they’re probably my favorite way, because they provide so much value (assuming you do it right). And, it’s kind of fun to create those pretty PDFs. How to grow your email list? Last, but not least, sometimes it’s just a good old-fashioned opt-in. SumoMe welcome mats are doing pretty well for me. And sometimes people even subscribe in that little sidebar widget. Believe it or not. “Regular” opt-ins are by no means my biggest source of subscribers. But, it’s enough that it’s worth mentioning. Don’t skimp on the opt-ins. You should have five on your homepage. I know, but you should. People need to see it if they’re going to use it. Not everyone looks at your sidebar. Although I’m sure you have a beautiful sidebar. So, that’s it. Those 5 methods are where my 1000 subscribers came from. So, no secrets here. You can totally get your first (or next) 1000 subscribers. Even if you don’t want to spend money on a giveaway, create a free email course or challenge and bank on those content upgrades. They really do pay off. Never thought about doing a giveaway! You gave away a microphone? Was it worth it? I got a ton of subscribers, but some of them weren’t really “my people” who were engaged with my content. In the future I’ve tried to keep my giveaways more niched down.